Mate James Southgate scrubs the deck of the CV-9. 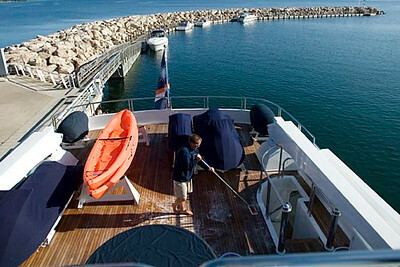 The ship carries three jet skis, two kayaks and two tenders among its recreational equipment. The crew of eight works year-round on the ship to keep it seaworthy.